If you are on this page, it is likely because you or a loved one was recently diagnosed with myelodysplastic syndrome(MDS). This serious medical condition used to be referred to as "preleukemia." Many railroad workers exposed to benzene diesel exhaust fumes during their careers may wind up being diagnosed with MDS. If that is the case, our team of experienced railroad disease attorneys are here to help. MDS, and various leukemias are associated with exposure to benzene, a constituent of diesel exhaust fumes. It has been known to medical science for many years that benzene is a blood poison. Diesel exhaust fumes not only include many known carcinogens that can lead to lung cancers, these carcinogens including benzene and the poly aromatic hydrocarbons in the fumes, are associated with many blood cancers and leukemias. Railroads are now requiring confidential settlements so we cannot advise consumers which railroad workers we represented against which railroads, but we can say that we have represented numerous railroad workers who have developed blood cancers which the workers doctors have believed was caused by exposure to benzene and diesel exhaust fumes In their railroad workplace occupations. As lawyers, we are looking for and occupational history of decades long exposure to diesel exhaust fumes, and a minimum number of alternative potential causes, for example it is best if the worker is a non-smoker. Read on for more information below. MDS is an extremely rare disease affecting roughly 4 in 100,000 people. The average age of an individual diagnosed with MDS is about 65 years old. That is such a cruel age to receive this type of diagnosis since it means someone who is in their proverbial "golden years" or just starting to enter those sought-after retirement years is suddenly afflicted with this terrible disease. Approximately 10,000 to 20,000 new MDS diagnoses occur each year in the United States. Though, an exact number is difficult to determine since MDS can go undiagnosed for years. The incidence is probably increasing as the age of the population increases. Studies have shown that many patients diagnosed with MDS have a history of being exposed to radiation and/or toxic fumes like benzene diesel exhaust. Railroad workers are particularly at risk since numerous rail employees have been exposed to benzene while working in and around the rail yard. 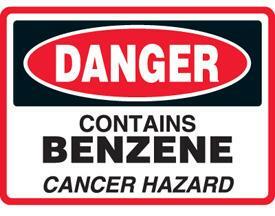 Benzene can be absorbed into the human body through your skin or if you inhale it. For most railroad workers, they likely developed MDS by breathing in benzene diesel exhaust fumes. This is because benzene is highly evaporative and anyone working in an area where this toxic chemical is being used is susceptible to inhaling the harmful, disease-causing vapors. In addition to MDS, benzene exposure can cause anemia and damage your immune system. Benzene exposure has also been linked to an increased risk of leukemia, lymphomas/Hodgkin's disease and other forms of occupational cancers, including bladder cancer. Benzene has been widely used as a solvent, especially for the purposes of degreasing locomotives, as well as being present in diesel exhaust. Did the railroads - like Norfolk Southern (NS), CSX, Amtrak, Burlington Northern, etc. - know that they were exposing their workers to potentially deadly toxic chemicals? Well, concerns over workplace chemicals and fumes were raised back in the 1950s, but many railroads decided to roll the dice and not take the steps necessary to improve workplace safety. The consequences of this inaction are still being felt today. Thousands of workers, including trainmen, switchmen, conductors, engineers, etc. have developed life-threatening diseases such as MDS, mesothelioma, lung cancer, bladder cancer, and so forth. If you or a loved one were diagnosed with myelodysplastic syndrome (MDS), then you need to consult with an experienced railroad disease attorney to discuss a potential benzene exposure lawsuit. If you or a loved one worked for a railroad, you may be able to file a legal claim under the Federal Employers Liability Act (FELA). This is a unique federal law designed specifically for railroad workers who have suffered harm while working for a railroad. Our railroad disease attorneys are nationally recognized and considered thought-leaders in this area of law. For example, railroad lawyer Rick Shapiro co-authored a legal treatise on railroad injury law that is published in numerous law libraries. Both Rick and Randy Appleton have over 50 years of combined railroad injury legal experience. They know railroad law. Contact our office for a free, completely confidential case evaluation by filling out the quick contact form on this page. Once you fill out the form, an attorney will respond within hours. Yes, you will get to speak directly with an attorney to determine your legal options. We cannot guarantee that your case meets our firm's criteria, but our team of railroad injury lawyers are here to help and figure out what can be done.